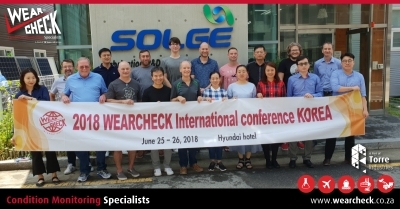 Members of the International WearCheck Group (IWCG) get together each year in a different member country to share ideas about the latest technological innovations, discuss new condition monitoring trends, learn about new laboratory practices and instruments and to keep the international WearCheck business network going. Seoul - the beautiful capital city of South Korea – was the venue for this year’s IWCG conference in July. 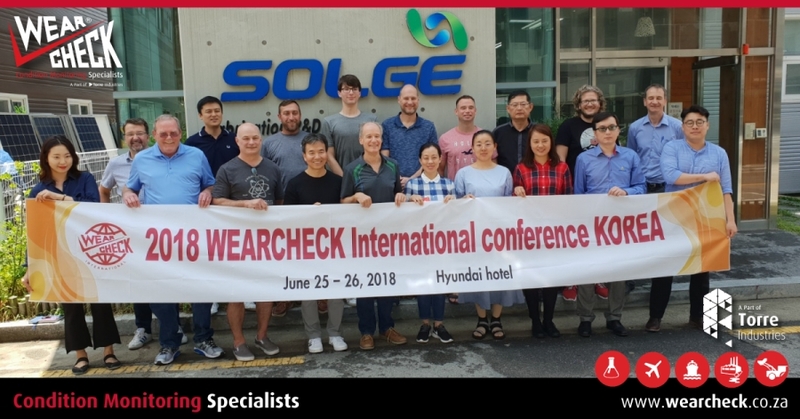 WearCheck MD Neil Robinson (back row, fifth from left), along with delegates from Canada, USA, Hungary, UK and Argentina attended the 2018 International WearCheck Group (IWCG) meeting in Seoul, South Korea in July.